Welcome to the Lexington at Jackson Hole* your home away from home in beautiful Jackson* Wyoming. With close proximity to Grand Teton National Park* the National Elk Refuge* and Yellowstone National Park* our guests can enjoy the many outdoor activities and rustic beauty that Wyoming has to offer. Located just 1.5 blocks from the historic Jackson Town Square* our guests are within easy walking distance of many shops* restaurants* galleries* museums* and nightclubs. 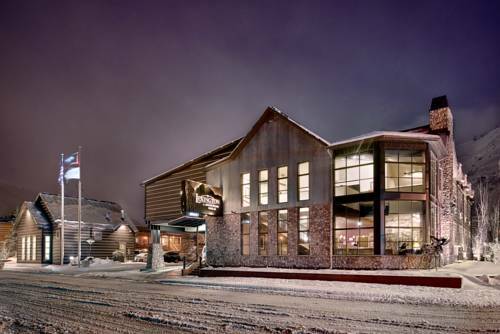 The Lexington at Jackson Hole welcomes you with a warm* comfortable two-story lobby with fireplace. Our property also features a complimentary deluxe continental breakfast served in our mezzanine* an indoor heated pool* indoor jacuzzi* meeting/conference facility* business center* guest laundry facility* complimentary airport shuttle service* and plenty of complimentary parking. Each of our spacious guest rooms at the Lexington at Jackson Hole offers a comfortable* quiet environment with all of the comforts of home including premium beds* free wireless high-speed Internet access* microwave* mini-fridge* coffeemaker* cable TV with HBO and ESPN* desk with lamp* hairdryer* iron* and ironing board. Some rooms offer fireplaces and sitting areas while others provide courtyard access to easily load and unload luggage. An easily accessible location* affordable rates* exceptional customer service* and superb accommodations make the Lexington at Jackson Hole the perfect choice when visiting the Jackson Hole* Wyoming area. Located just 1.5 blocks from the historic Jackson Town Square. Within easy walking distance of many shops *restaurants *galleries * museums and nightclubs. Close proximity to Grand Teton National Park * National Elk Refuge and Yellowstone National Park.